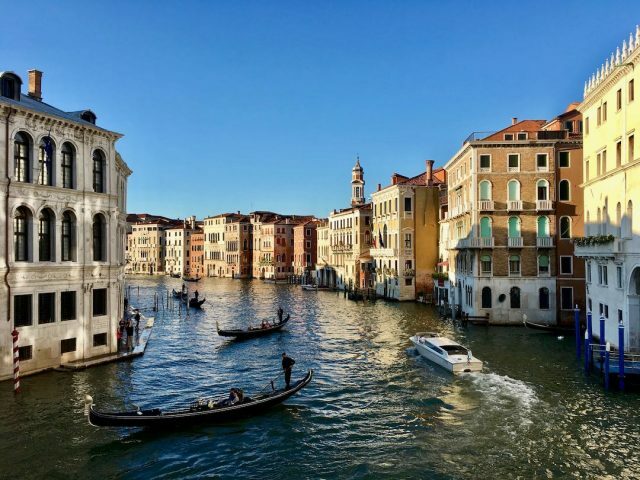 Venice is a destination frequently mentioned these days when it comes to the topic of over-tourism. 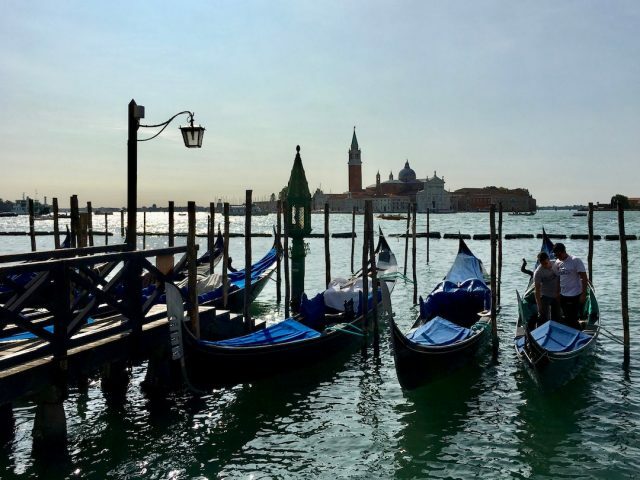 Between the turnstiles being operated in the peak of summer to protests against large cruise ships anchoring in the lagoon, visiting Venice is a topic that everyone has an opinion on. 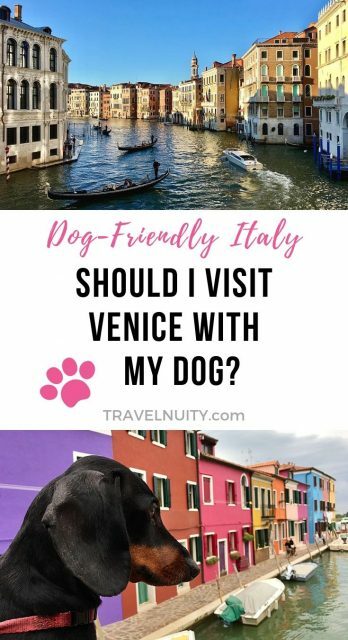 But what about visiting Venice with your dog in tow; is it a sensible thing to do? 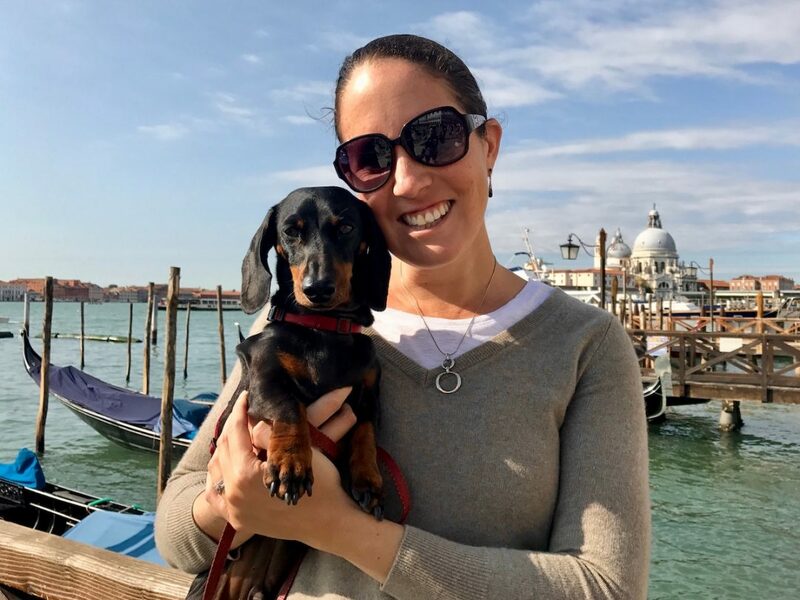 Based on my own experience, I share my thoughts on whether you should visit Venice with your dog. The main issue with visiting Venice with a dog is the sheer volume of visitors that the city receives during the peak months over summer. During my visit to the city in mid-September 2017, I had thought that the crowds would have already eased off. But I still found parts of the city to be very crowded during the day. In particular, the narrow laneways in between the Rialto Bridge and St Mark’s Square were a squeeze to navigate. Additionally, the Vaporetto Line 1 heading back up the main canal to the train and bus stations in late afternoon was rammed full with passengers. While crowds are unpleasant for yourself, if visiting with a dog they can be dangerous. 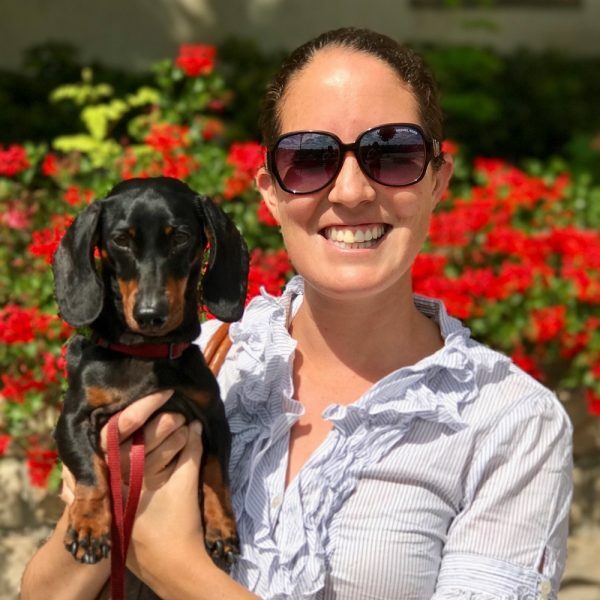 There’s the risk of your dog being stepped on (if they’re not small enough to be carried), plus many dogs would not be comfortable with the crowds and may react badly, or at least hate the experience. Another issue to contend with in Venice is just where you dog can do their business. There is virtually no grass in Venice, at least in the central areas. 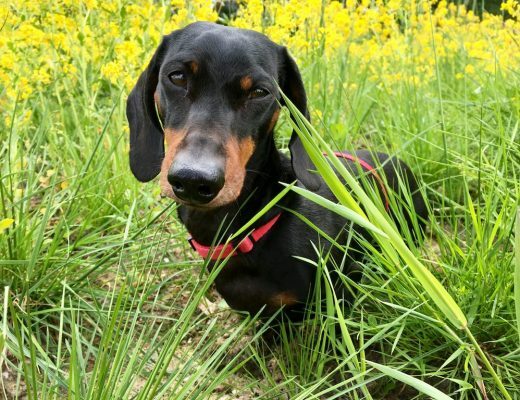 If your dog will only relieve themselves on grass, you may be in for a long and fruitless search. In other areas, Venice is quite dog-friendly, just like much of Italy. Dogs are allowed to travel on the vaporetto (the water boats that criss-cross Venice) without a ticket, as long as they are on a leash and ideally wearing a muzzle (although the latter doesn’t seem to be enforced for small dogs). Additionally, many cafes and restaurants allow dogs inside (handy for the colder months), although it’s always best to check with a waiter. 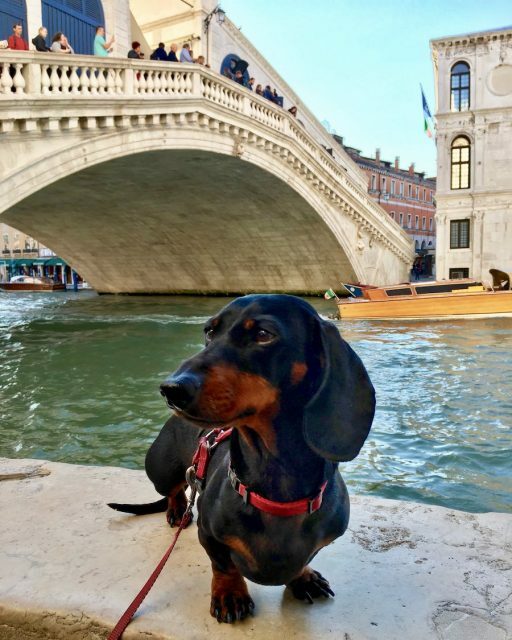 So Should I Visit Venice with My Dog? 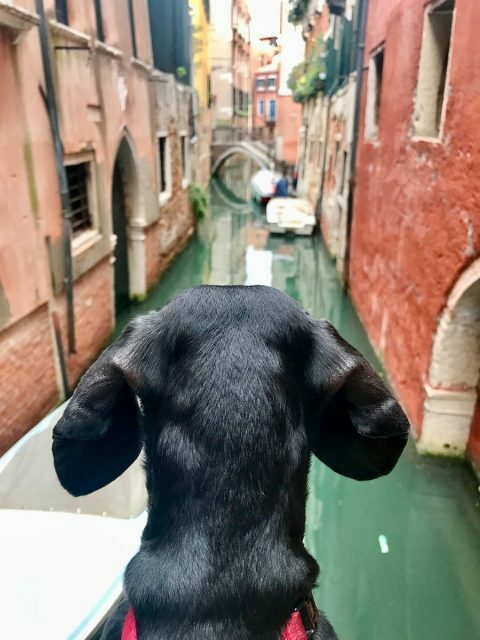 My top tip to keep in mind if you are visiting Venice with your dog is to avoid the peak season. Even when I visited in mid-September, the city was still crowded with tourists, at least during the day. However, when some friends of mine visited in the depths of winter, they reported that the squares and canals were almost empty, and no crowds were to be found. 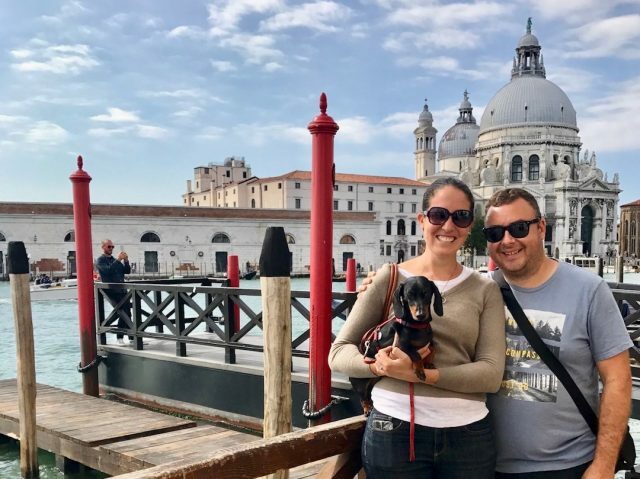 Consider visiting Venice with your dog during the off-peak season. 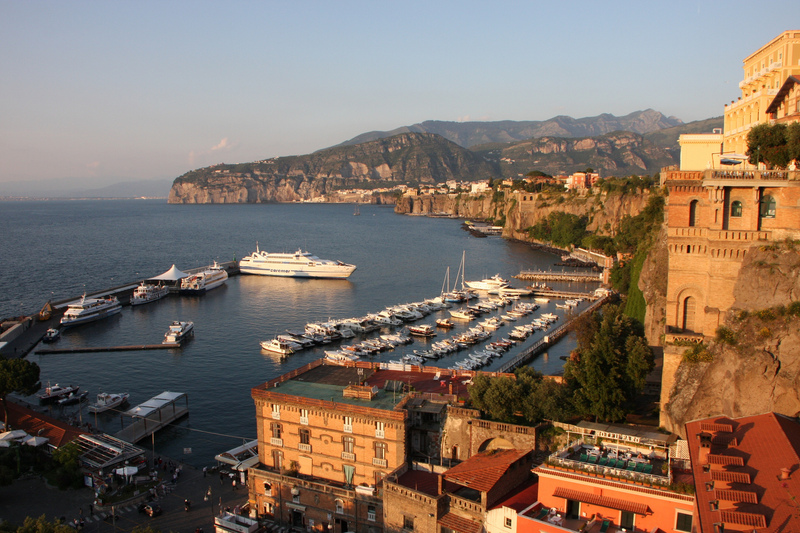 In particular, consider visiting between October and March, although it can still be busy during the Carnival festival in February and over the Easter weekend. Just keep in mind that winter time in Venice also means the risk of flooding. While humans can buy plastic overshoes to protect yourself (except for the really high floods), your dog might not appreciate the water, particularly small dogs, so check the forecast. Even on busy days, not all of Venice is crowded. In particular, I found the busiest parts of the city to be the Rialto Bridge, St Mark’s Square and the narrow streets and laneways in between these two areas. If you headed off into the laneways away from this area, you quickly escaped the crowds and sometimes even found yourself to be virtually alone. Take a ferry to the distant island of Burano, home to colourful houses and plenty of grass! 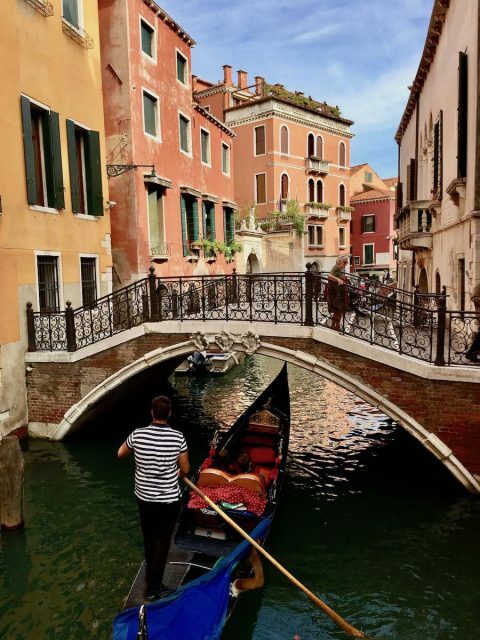 Should You Stay Overnight in Venice? I’m in two minds whether to recommend you to stay in Venice with your dog. 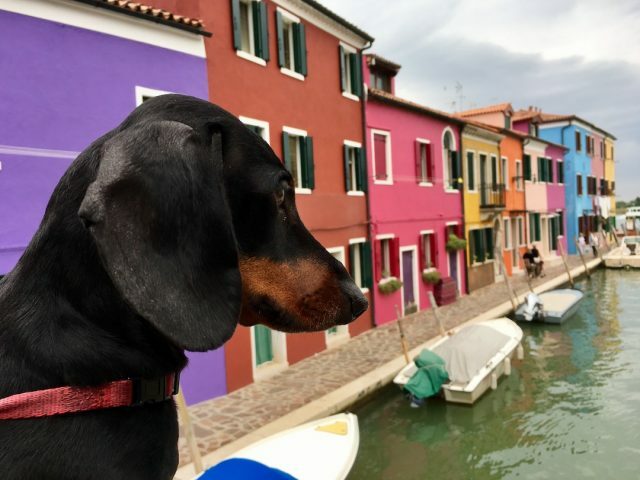 For starters, even if you’re not staying with a dog, the accommodation prices are about the most expensive in all of Italy, and the presence of Airbnbs in Venice is pricing out many locals. But on the other hand, I probably enjoyed Venice most in the early morning and the evening, when the crowds of day-trippers had left the city. Our small apartment next to Grand Canal didn’t offer a view, but we could perch at the front of the former palace in the evening, enjoying a glass of wine next to the canal, watching the boats go past. And there was also the big plus that the building had a private grass lawn in the rear. 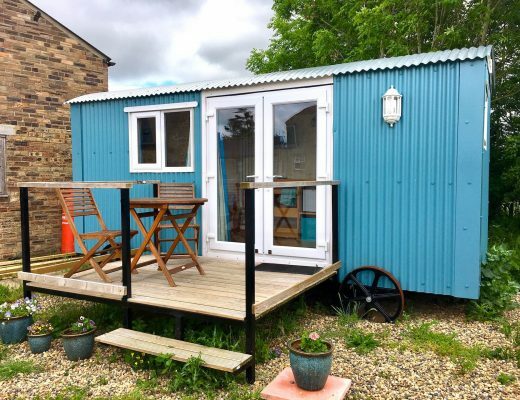 I’ll leave it up to you and what accommodation options you find available in your price range. 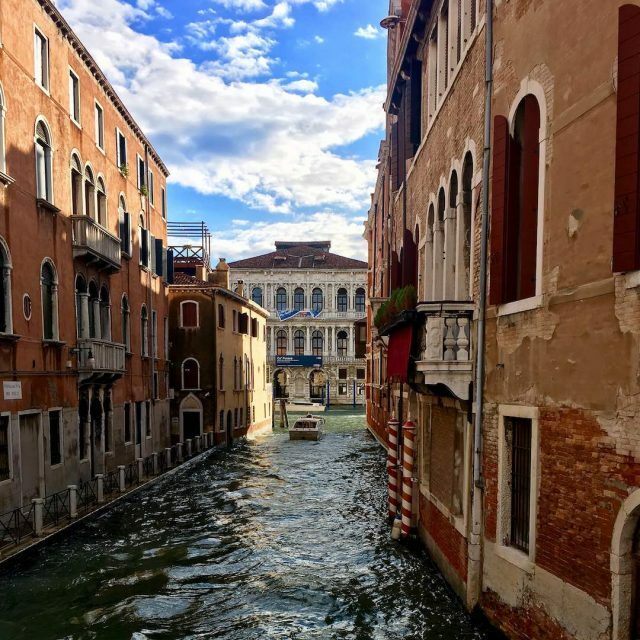 If you do stay outside of Venice, there will be far cheaper options, and you can easily take a ferry or train into the city for the day. 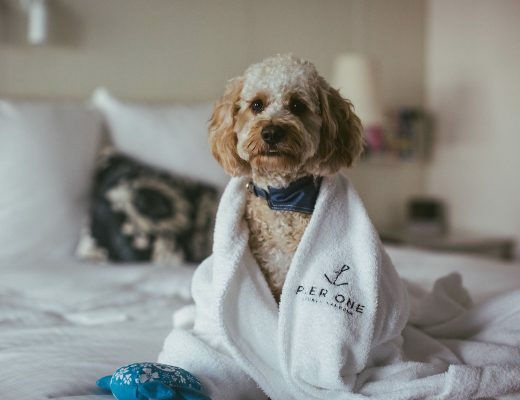 The surrounding coastline also offers up some dog-friendly beaches, perfect for a stay in the warmer months. Take a gondola ride with your pup – there’s no rules against dogs in gondolas, as long as you can afford the hire fee! Visit St Mark’s Square and admire the ornate front of the Basilica, plus perhaps chase some pigeons. Go for a stroll and get lost in the countless laneways, just taking whichever branch you feel like. 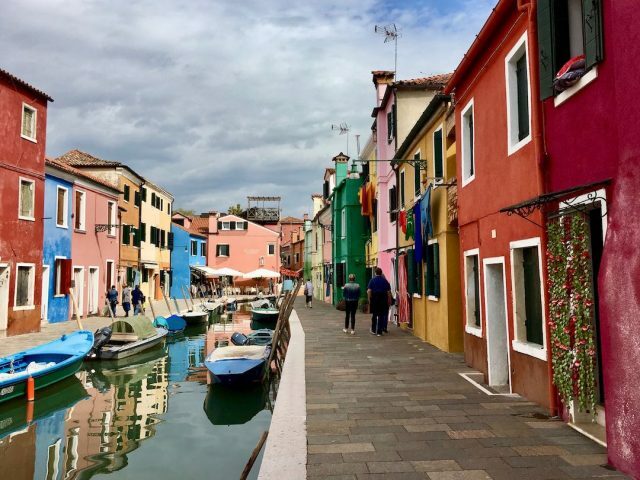 Take a half-day trip to Burano and check out the colourful houses. Visit the Giardini (garden) part of the Venice Biennale, held in odd-numbered years. According to the website, small pets are allowed in the green area of the Giardini. Sit at an outdoor table and enjoy a Spritz Veneziano (such as an Aperol Spritz) or Bellini, both of which were invented in Venice. 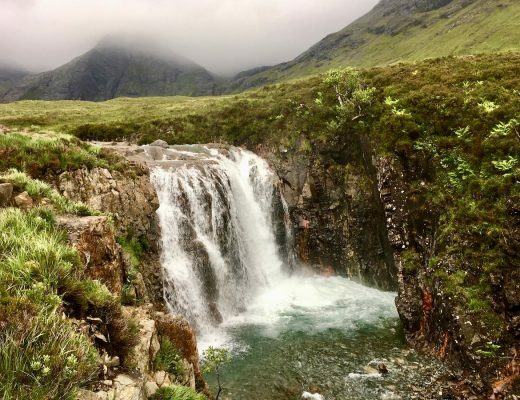 Looking for more ideas for your holiday? 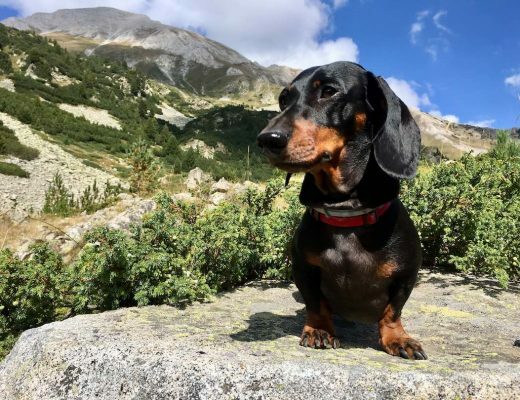 Check out my full list of dog-friendly things to do in Italy!